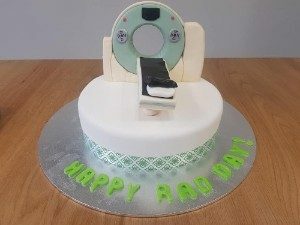 Thank-you to all members that participated in the 2018 World Radiography Day NZIMRT Bake Off – it seems that we have a number of members clearly capable of being on Masterchef! The 2018 NZIMRT Bake-off winners are TRG Imaging in Rotorua. Funds raised are to go towards supporting the travel grants for MRT’s from world bank designated developing counties to attend conferences and workshops e.g the AACRT/ASMIRT conference in Adelaide. Thank-you for celebrating your profession and supporting colleagues less fortunate than ourselves. World Radiography Day is celebrated on 8 November every year, marking the anniversary of the discovery of x-radiation by Wilhelm Roentgen in 1895. Medical Radiation Technologists worldwide are encouraged to use the day to promote radiography as a career and a vital contribution to modern healthcare, as well as an opportunity to increase public awareness of diagnostic imaging and radiation therapy.